An in-car amplifier boosts the electrical signals directed to a music system, increasing its overall power output. 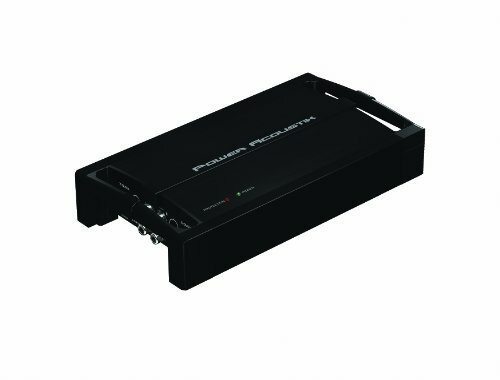 In terms of in-car audio systems, this unit takes a low-power output signal from a CD player or radio, for example, and then increases the signal strength, allowing it to power speakers or subwoofers. Below, we’ve picked out 5 of the best Power Acoustik units and broken them down into their features, plus advantages and drawbacks. The Power Acoustik GT1-6000D is one of the most powerful amplifier units available from this brand, but also one of the heavier, larger units as a result. 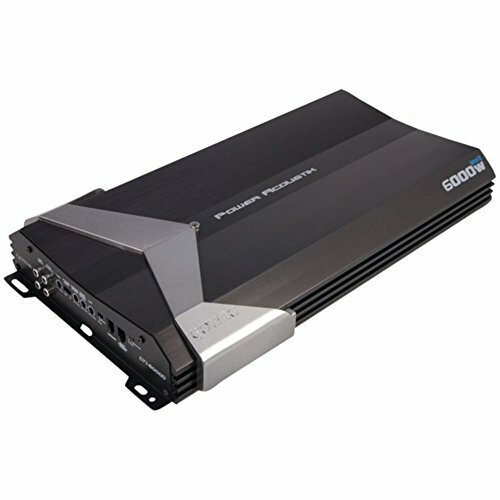 It’ll suit a car enthusiast looking for the most powerful amplifier solution but will also require more installation space and a bigger budget. ​Data link system: Features allows the mono amps to be strapped or bridged via master / slave configuration. 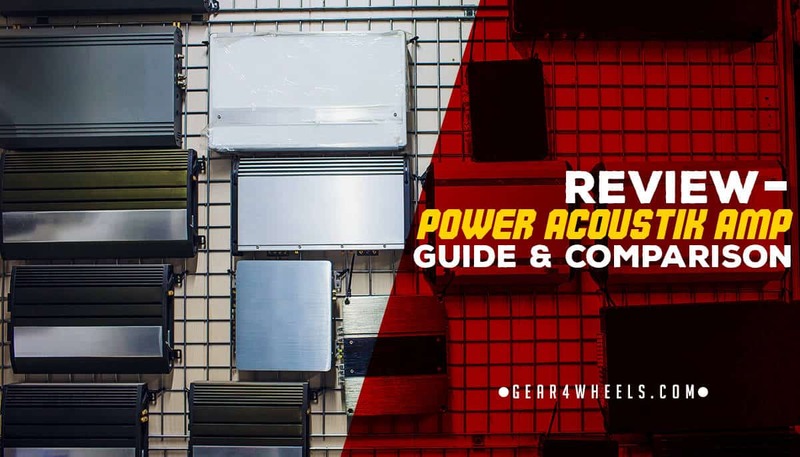 Power Acoustik products are known for their reliability and durability, and this model defines those expectations well. It’s also got one of the highest power outputs available on the market; any larger, and you’d kill your car battery very quickly. This amplifier is heavier than many alternatives, and bigger as a result of its incredible power output. This reduces the options for where it can be installed within a vehicle. The power output also demands a lot from your car’s battery; you’ll need to have upgraded it, and potentially have a secondary as backup. The Power Acoustik BAMF5500/1D Monoblock is one of the newer and more powerful models of amplifier available within the PA brand. General consumer feedback is, on the whole, relatively positive, though not so much as some of the less powerful alternatives. This model boasts a die-cast aluminium heat sink that helps to cool the product from three different angles. Additionally, all connections and controls are located on a single side to improve usability when installed in a tight space within a vehicle. Despite smart design choices that are designed to reduce internal heat, the model does still heat up somewhat. This unit will also require a very strong battery or alternator to support its sizable power output successfully. The Power Acoustik RZ52500D isn’t the most powerful amplifier created by this well-known and trusted brand, but it still packs a good punch, and for a competitive price. There are some limitations around the power feed you use, but little else in the way of drawbacks. ​4 ohms: 400 watts x 1 chan. Despite not being the most powerful amplifier available within the Power Acoustik range, the 2500D still puts out an impressive amount of power. It also has an incredibly tough outer shell, making it built to last in harsh environments. Unfortunately, this unit will only take an 8-gauge power feed; nothing short of this can be used for installation, and you’re going to need ground wiring, too. Additionally, it can take some time to get the gains and high/low pass filters set correctly, once it has been installed. 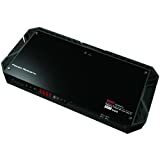 The Power Acoustik RZ1-3500D is one of the most powerful in-car amplifiers belonging to this trustworthy brand, having been around since early 2015. This unit is incredibly quick and simple to install and has everything required unlike some other alternatives that are missing ground wires or similar components. Its compact size means that it is easy to install in the smallest spaces. This unit is at the more expensive end of the budget. If installed with the wrong type of subs, it could also fry them, leading to even more costs incurred, though this is a similar problem shared with other amplifiers, too. 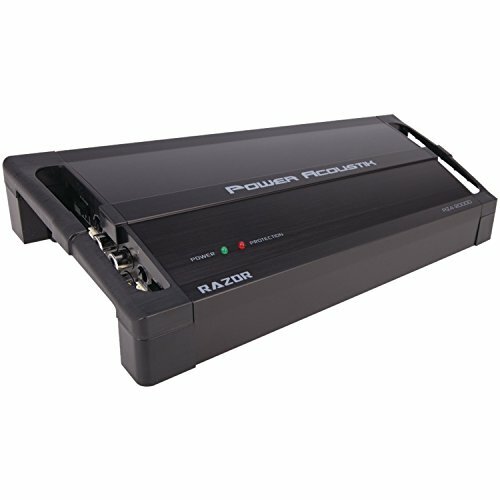 The Power Acoustik RZ4-1200D 1200W Class D Amplifier has been around since 2004. Despite this, it's still compatible with modern vehicles and has enjoyed extremely positive feedback during its lifespan. As far as in-car amplifiers go, this is one of the cheapest models available on the market, although the power output is also less than many alternatives, including other models from this brand. Despite having been around for around 15 years, this amplifier is still compatible with more modern vehicles. Part of the problem with this model, and indeed probably partly the reason that the product is so inexpensive is because it doesn’t have sub plugins, only speakers. It also lacks the inline connector plugs required for the four channels; these must be bought separately. Our pick of the best Power Acoustik amplifiers is the ​Acoustik BAMF5500. Though it’s bigger and heavier than its peers, it is also the most powerful of the units we’ve listed. It’s also got some nice features like die-cast aluminium heat sink, heavy-duty alloy heat sink, etc.